Maari 2 is Ready to Rage sooon!!! Dhanush starrer Maari throttled the box office with huge sum and the sequel of the movie Maari 2 is directed by Balaji Mohan. Sai Pallavi,Tovino Thomas,Robo Shankar and Krishna play predominant roles in this movie. The film is under it’s post production work and set to hit the screens late this year or early 2019. 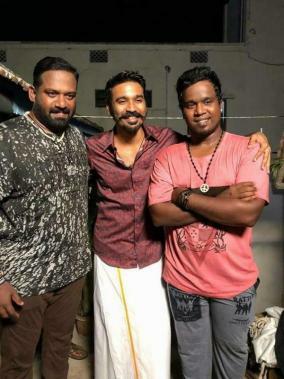 Dhanush fans are eager about this and Vetrimaaran’s next painting starring Dhanush in ‘Vada Chennai’ is set to release on October 17th. So this year will be a blockbuster and nail biting year for his fans.